Luminescent wearables developed at Eurecat centres. We tend to think of wearables as bracelets and watches, but the concept goes much further. The idea of having connected, smart-clothing has been around for a long time, but has not evolved at the same pace as other portables so common in our every-day lives. This is mainly because of the difficulties of scale production and the integration of electronic components compatible with fabrics that are not as easy to produce as plastic wristbands we are now used to. Even so, research continues, and one of the places where things are on the move is Catalonia. The Eureco technology centre has helped revitalise our textile industry by introducing intelligence technology into the traditional industry at its centres in Maresme. The Reimagine Textile project , Mataro's TecnoCampus and the Centre de Recerca i Transferència de Tecnologia Tèxtil at Canet de Mar, have progressed on several fronts. One of the most important is the creation of electroluminescent fabric. By printing various layers of inks on flexible substrates which are strategically placed to pass electric current, permits energy to be converted into light. 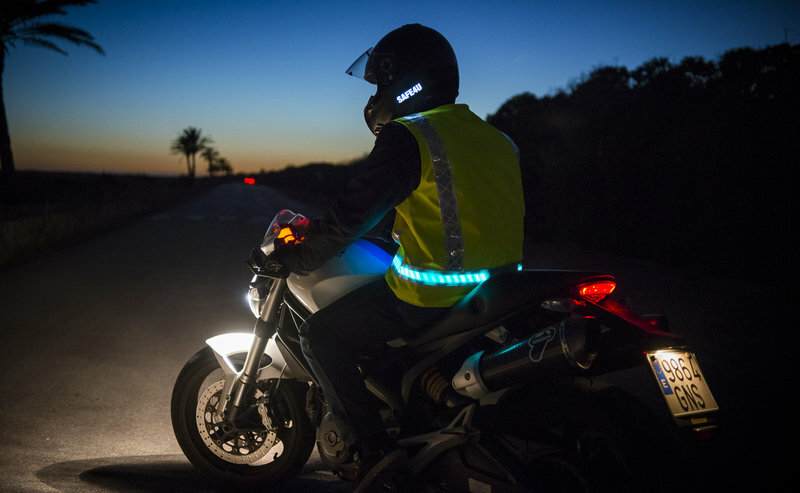 The technique, allowing the fabric to emit light, has already been used to create T-shirts, tops, jerseys, helmets or trousers for motorcycles that greatly increase the visibility of the wearer. The printed surface which is illuminated, less than 500 microns thin, flexible, with high curvature, low energy consumption and high impact resistance are advantages of this technology that Catalonia is pioneering. The intelligent and functional textile sector is expected to pass the 9.7 million euro sales mark of 2013 and reach 135 million euros in 2018. Aware of this potential, Eureco's Reimagine Textile programme aims to “help Catalan companies understand what their business could be in 2030,” says the Eureco's business management director, Michael Rey. The technology centre, however, does not rule out working with multinationals in other fields such as sensors in the fuselage of Airbus aircraft or creating awnings that capture solar energy in shade and more moderate weather conditions. It has also helped create heated hunting jackets or cycling jerseys, but the main part of its work will continue to be focused on the health sector and monitoring data. “More and more, there are sensors that monitor everything. What makes more sense is to integrate them into comfortable garments such as socks, shirt and pants, rather than rely on gadgets. This will be very important in the world of sports, where we already see players wearing monitoring vests, but also in the field of health and tele-medicine. The day the doctor will monitor our health and recovery at a distance is not far off, “says Rey. Shirts that monitor vital signs and perspiration have already been developed at the Eureco facilities. 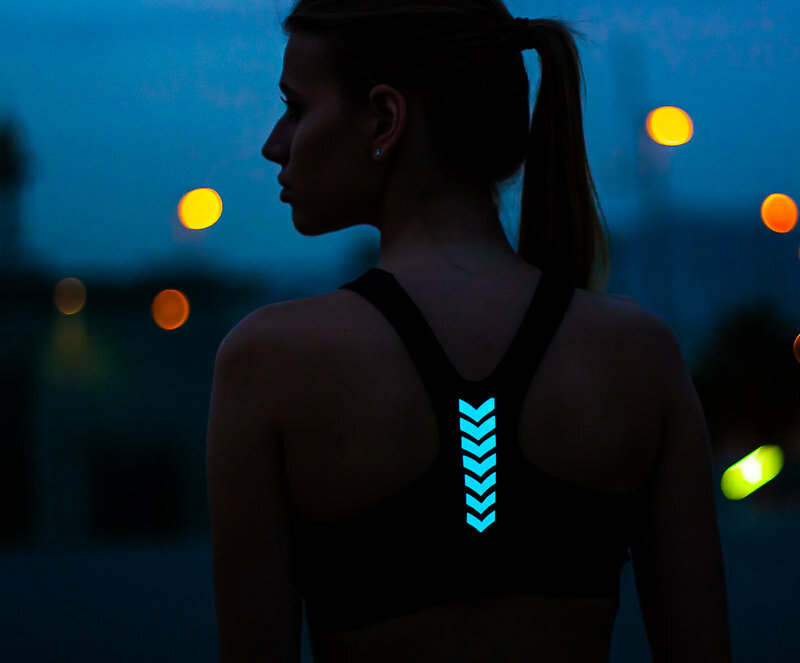 In Japan, one of the epicentres of the technological world, two companies have joined together in presenting a singlet that communicates data on the person who is wearing it to improve performance and physical condition by mobile. It reads location, heart rate, and even controls the calories consumed and burned. Used correctly, the wearer can view information and receive advice on how to improve performance or a specific training programme. It will probably be on the market this year, possibly through a chain of gyms in the West. Of course, Google also wants to get in on the act. 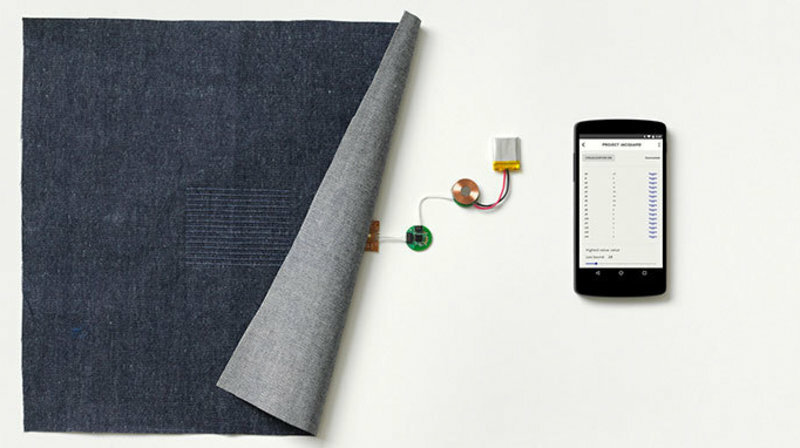 In 2015 it announced the launch of the Jacquard project, for the integration of wireless devices and small electronic conduits in clothing as a step towards the production of smart textiles. The project, which also includes a partnership with Levi Strauss, sees dealing with phone calls by touching a garment much the way we use tactile screens now. If the project is successful, it could be an important platform for the creation of products for applications from communications, health, fitness, fashion, and work. So it seems only a matter of time before we are wearing technology as a second skin.